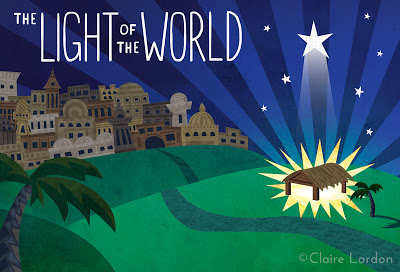 Claire Lordon Design: Merry Christmas! 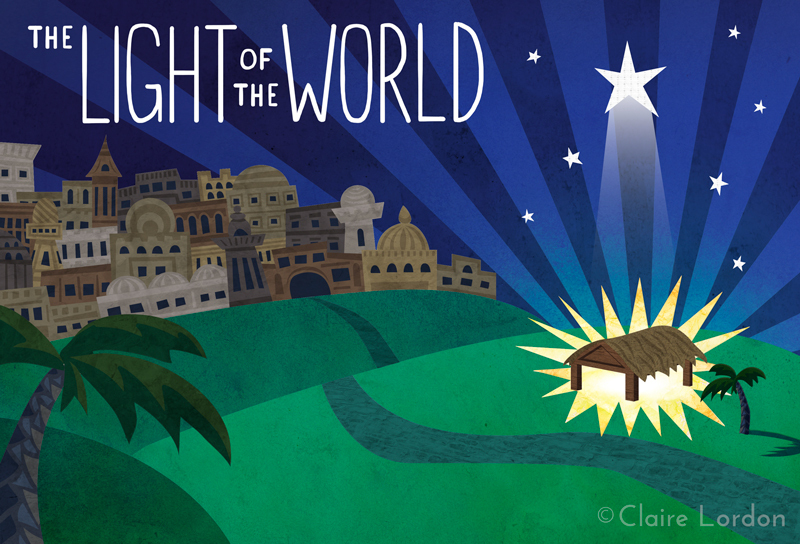 My pastor recently asked me to create some art for the service bulletin on Christmas Eve. He wanted me to base it on the theme of light. I had much fun playing around with textures in this piece. I also might use it for my own Christmas card. Awesome!! I love this Claire!